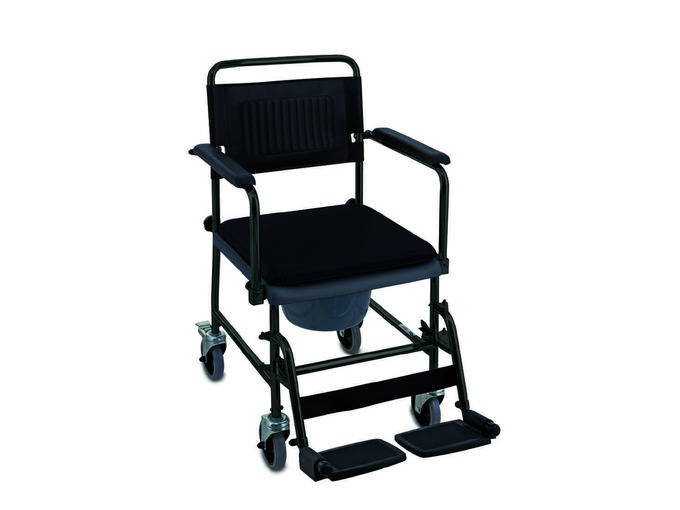 The Invacare Glideabout Wheeled Commode is an attendant controlled wheeled commode chair ideal for the home, residential or hospital environments. 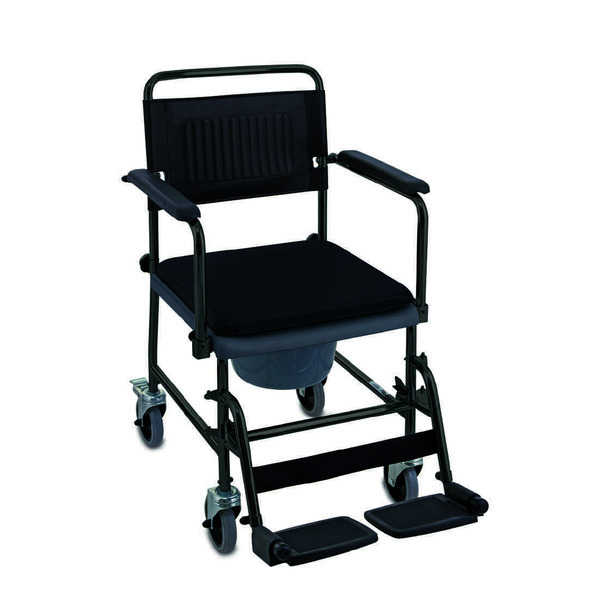 Made with a strong, robust frame the wheeled commode is as comfortable as it is durable. The powder-coated steel has anti-corrosion qualities that make it extremely hygienic and easy to clean. The padded seat and armrests offer maximum comfort and stability for the user when being transferred, whilst the leg rests and footrests provide the utmost support. Manoeuvrability is particularly good with the Invacare Glideabout Wheeled Commode as it incorporates a space saving push bar and four braked castors making pushing and moving the wheeled commode effortless. The armrests swing away, as do the footrests, providing easier access and making transfers simpler for the user and carer alike. 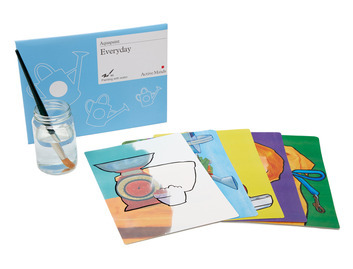 An integrated toilet pan holder comes as standard.